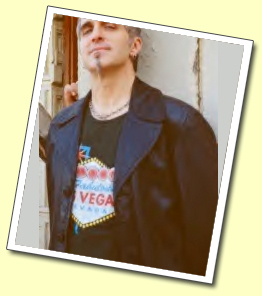 Glen Burtnick – a singer/songwriter born and raised in New Jersey, became a regular part of the Asbury Park music scene during the early eighties. Glen often shared the stage at the Stone Pony with the likes of Bruce Springsteen, Southside Johnny, ‘Little Steven’ Van Zandt and Jon Bon Jovi. It is a known fact that Bon Jovi asked Glen to join his new band before their ‘runaway’ international success during the 1984-86 period. . However, it was his stint as singer and guitarist with the mult-platinum group Styx that many people will remember Glen by. As a replacement for Tommy Shaw, he appeared on their 1990 ‘Edge of the Century’ album for which he contributed to much of the material. After a brief hiatus away, he is now back with Styx, recording and touring (in concert throughout the USA, Japan and Europe), and has made appearances on MTV, VH1, The David Letterman Show, The Today Show, The Tonight Show and the 2001 Super Bowl. As a songwriter, Glen’s credits reads like a ‘whos who’ of rock. Cyndi Lauper, Randy Travis, Phoebe Snow, Marshal Crenshaw, Patty Smythe, Alias, John Waite, and Don Henley have all benefited from the subtle and creative pen of Burtnick. Numerous number 1 hits and ASCAP song writing awards appear on his CV, some of which have been featured on motion picture soundtracks such as ‘Armageddon’, ‘Don't Tell Mom the Babysitter's Dead’, ‘Bill and Ted’s Excellent Adventure’ and ‘Armed and Dangerous’. Like fellow New Jersey contemporaries Bruce Springsteen and Jon Bon Jovi, Glen is a master of the Asbury NJ sound and telling an everyday story, and is able to capture the listener with memorable hooks and melodies. Glen is now available for bookings anywhere in the world!